Of all the rooms that we use in our home, the bathroom or washroom is without doubt the most heavily used area. The bathroom is the place we visit first thing in the morning once we are up. And we make it a point to visit the bathroom before we retire to bed. But most people keep bathroom remodeling San Diego as a secondary option when preparing for home renovations. The reason why people tend to leave out the bathroom or kitchen during home improvement projects is that it works out to be more expensive than remodeling other rooms. Furthermore, bathroom renovation or remodeling takes quite some time and one cannot use it while the project is underway. Therefore, most of us keep on postponing bathroom remodeling San Diego as long as we can. In reality, we should assign top priority to bathroom refurbishment or bathroom remodel San Diego for the plain and simple reason that it is the most heavily used area in our house. No other area in our home experiences as much footfall as our washroom or bathroom does. 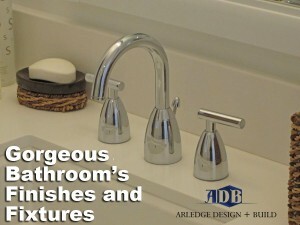 Although there are many home improvement companies and establishments that specialize in bathroom remodeling services, Arledge Design Build goes the extra mile to provide you with premium bathroom renovation services. 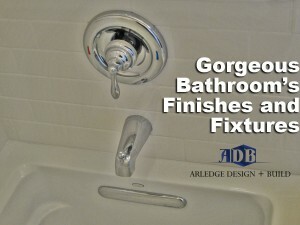 If you log in at www.arledgedesignbuild.com and browse through our bathroom remodeling San Diego webpages, it’ll slowly dawn on you as to why we are the first choice amongst all general contractors firms in San Diego. You’d just to need to give us a call and let us know about your bathroom remodeling plans and we’ll take care of the rest. We’ll fix up an appointment with you and then visit your house on the appointed date. Thereafter, we’ll carry out a thorough inspection of what needs to be done in accordance with the checklist prepared by you. We’ll give professional suggestions on what materials would be best for your bathroom remodel San Diego plan. We’ll tell you to use only those materials, fixtures and equipment that are eco-friendly and can be conveniently recycled. If you desire, we can procure the materials on your behalf and handover invoices and receipts for the same. 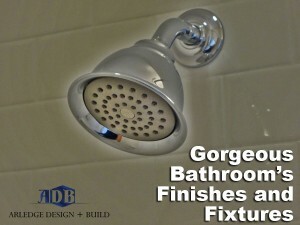 We’ll also help you out with making a shortlist of all bathroom remodeling San Diego fixtures that you’d to replace or repair. We undertake job works for installing, replacing or repairing cabinets, closets, drawers, showers, shower curtains, toilet seats and covers, commodes, mirrors, sinks, cloth racks, and much more. We also undertake all sorts of tiling projects for your bathroom floors and walls. You can also rely on us if you need to carry out any plumbing repairs or replacements. We can overhaul the entire plumbing system if you so need for your bathroom remodeling Oceanside plan. We also provide replacement or restoration services related to electrical wiring in your bathroom. And before you can take us into confidence for your bathroom remodeling San Diego scheme, we’ll provide you with ballpark figures of labor cost, cost of fixtures and materials.